I will return to the subject of beer in 1800s Quebec City, but for now a straight-up beer review. 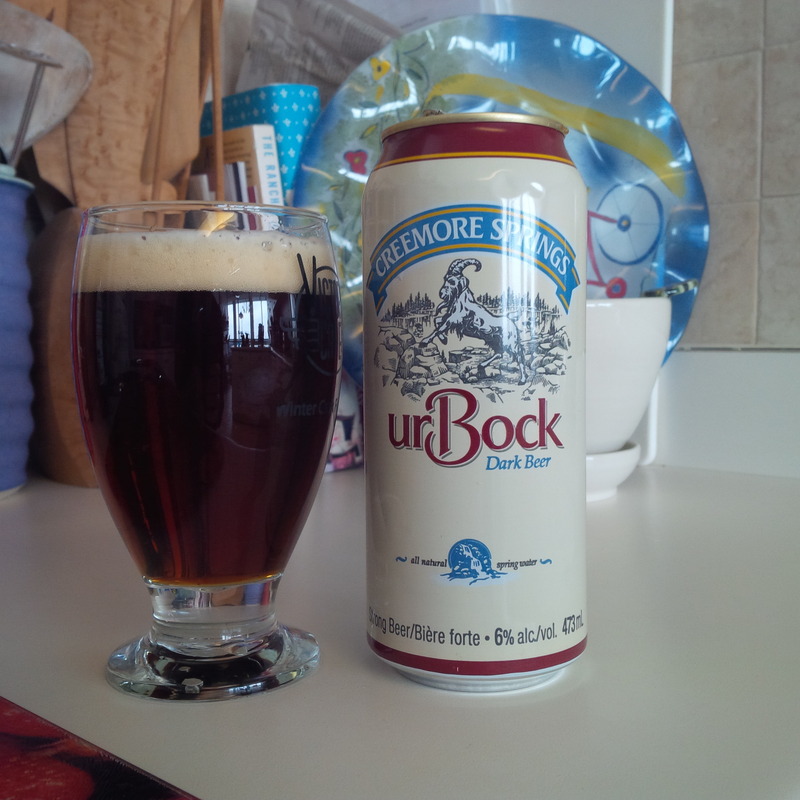 This is Creemore Bock, and is very similar to what it always was, i.e., before Molson Coors scooped up the brewery just over ten years ago. It is milk chocolate malty, lightly bitter, withal an accurate rendition of the Einbeck, Germany strongish beer style that gained favour centuries ago in Bavaria. This particular canning impressed more than some as the yeast background, generally prominent in the Creemore line, hangs back here. Long aging in the old days (1800s-1950s) would have removed most of the grassy, loamy volatiles associated with a fresh young beer. Perhaps this batch was longer-aged – we are later in the winter now – than others I’ve tried.